Find more info on the project and the Reward at our Kickstarter page; Due to amount of pre-orders please estimate a 6+ month delivery time. 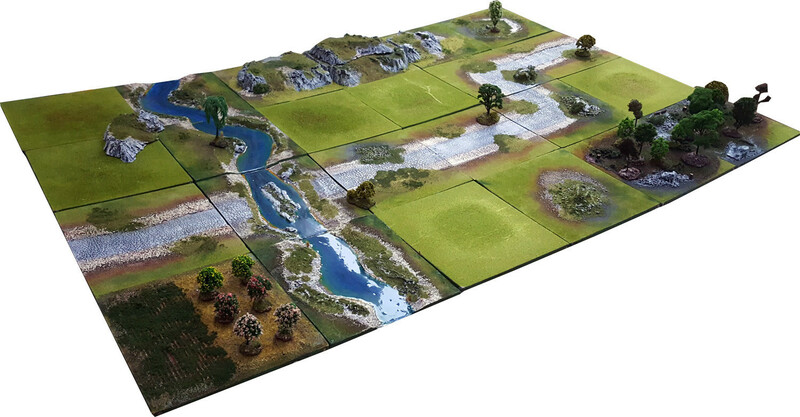 A robust wargaming board, full of features, either for 6'x4' epic battles or for multiple smaller configurations. For most miniature wargames (eg Kings of War, Warhammer, Warhammer 40K).